With an increasing number of Indians exploring international cuisines, the business of exotic vegetables is also growing. On a sunny morning, peacocks, march in a procession across a narrow path lined with mulberry trees. Nearby, cows lazily graze, hens cackle, rabbits squeak and hop, swarming bees hum on a hive, ducks waddle. In this idyllic 40-acre farm in Patan Kala, Rajasthan, 90 km from Delhi, some of the animals are for sale. The ducks are not. "The ducks are my natural pest control," says Ayesha Grewal, owner of the Organic Acres farm. In what way? The ducks feed on mosquito pupae. They also feast on snails and other pests, protecting the greens and other vegetables the farm produces - 13 varieties of lettuce, including Boston, Bibb, Lola Rosa and Batavia, white turnips, golden beetroots, Caribbean peppers such as Scotch Bonnet, asparagus, artichokes, fennel, and Okahijiki, a Japanese land seaweed. In India, such produce is "exotic". Until recently, none of these would have been cultivated here. High street restaurants imported everything - from salad leaves to European vegetables - to dazzle well-heeled customers who paid handsomely for their Arugula and Baby Radish Salad or the Heirloom Tomato (non-hybrid tomato whose seeds are typically passed down generations) Bruschetta. Domestic production of exotic vegetables, however, has been growing at a fast clip over the last three years. 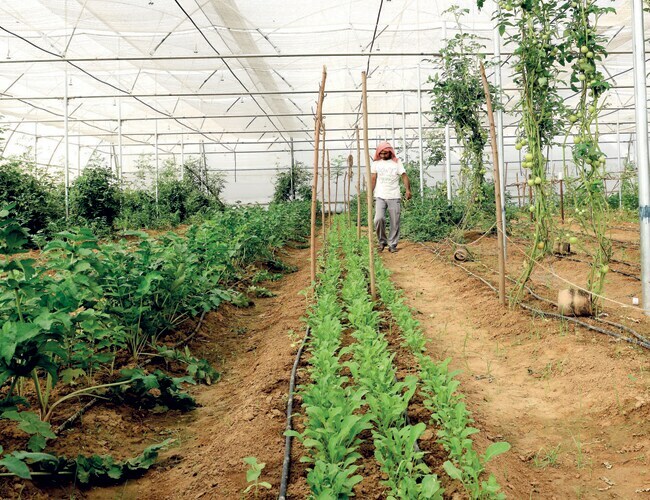 Farms catering to exotic greens have mushroomed too - in Manesar, Haryana (near Delhi), Pune, Bangalore, and Mysore. Their clientele are mostly restaurants in five-star hotels. Some of the produce is finding their way into retail shops as well. Grewal, who started farming exotic greens in 2012, sells them through The Altitude Store, her own retail outlet in Delhi and Gurgaon. Exotics have been flying off her shelves. Her annual growth rate is between 150 and 200 per cent. According to the Indian Council of Agricultural Research, the market for exotic is growing at 15 to 20 per cent a year. But most growers, like Grewal, are clocking far higher growth numbers because of the smaller base. The reason is not hard to see. The restaurant industry is booming because of the country's young population, their growing disposable incomes, and a trend towards eating out. There is greater awareness about international cuisine too. The food services market in India was estimated at $48 billion in 2013 in a study by the National Restaurant Association of India and Technopak. In five years, that could be worth $78 billion - that is nearly what the Indian IT industry currently exports. While volumes are picking up, restaurant owners are looking to cut import bills and chefs are exploring ways to reduce the carbon footprint of the dishes they create. Air transport of food implies higher energy consumption resulting in carbon emissions. "Besides carbon footprint, what is becoming important is quality and traceability," says Anupam Banerjee, Executive Chef at The Ritz-Carlton hotel in Bangalore. Banerjee is obsessed with freshness and quality. "When you source domestically, you know it is not being mass produced, so the quality tends to be good too," he says. 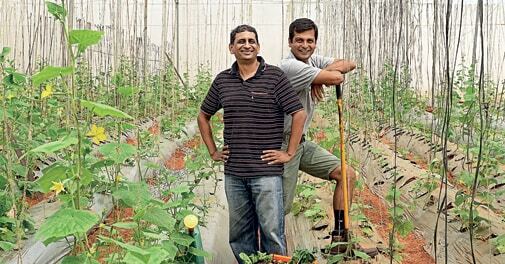 His team makes several trips to First Agro's 45-acre farm in Talakad, 130 km from Bangalore. Serpentine roads lead to the farm, past the river Kaveri, a rocky terrain and the breathtaking vineyard of Alpine Wineries. The farm is guarded by two Rottweilers, four German Shepherds, six Labs and a Boxer. First Agro, which started producing exotic greens in 2011, has adopted 'codex standards' to ensure toxin- and pesticide-free produce. Its exotics include 38 varieties of tomatoes of all shapes and colours. A striking purple coloured 'Midnight Blue' tomato stands out against a cloudy horizon. 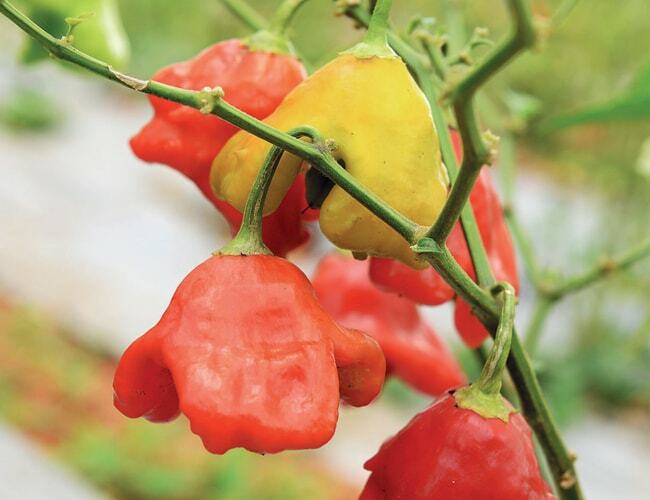 A pepper from Trinidad called Bishop's Crown, Peruvian chilli called Aji Amarillo, Japanese greens such as Mizuna and Mitsuba, wild rocket lettuce and Thai greens are some of the farm's significant produce. "Talakad can be the gourmet destination of Karnataka," says M. Nameet, First Agro's Co-founder. At dusk, as the lanky 37-year-old relaxes with a glass of wine, he often talks to Raghavendra Gowda, founder of Alpine Wineries, about his vision. The idea of agriculture struck Nameet, a former pilot, when he was flying in Canada. "I had a lot of free time. So, I started working with farmers and picked up knowledge on zero pesticide farming," he says. He teamed up with his brother M.V. Naveen and cousin K.N. Prasad to form the company. While Naveen has worked with IGATE and HP, Prasad was with Xerox and Wipro. The pilot-techie combo has worked well. The company supplies to nearly all the five-star restaurants in Bangalore and ships out daily orders worth around 2.5 tonne. Similarly, there are other entrepreneurs in the exotic green business who had little exposure to the agriculture sector before. Grewal of Organic Acres has a finance background. Hamsa V., a techie, started Growing Greens in Bangalore in 2013. The company produces micro greens - plants that are in their nascent stages of growth and whose size varies between half an inch and two inches. The company's mustard, sunflower, radish, pea shoots, red beet and carrots are used by chefs to enhance the visual appeal of their dishes as also their flavour. Some hotels display it on their buffet counters. All this domestic production means substantial cost savings for restaurants. Exotic lettuce grown in India could be 30 per cent cheaper than the imported ones. Imported cherry tomatoes can cost Rs 1,000 a kg whereas the domestically produced ones could be priced at Rs 200. While it will always be difficult to replicate the thick and less acidic pulp produced by San Marzano tomatoes grown in Italy's volcanic soil, economics and the case for sustainable gastronomy is tilting the scale in favour of local sourcing.